Clarissa’s only escape from this harrowing nightmare is inside a courtroom–where she is a juror on a trial involving a victim whose experiences eerily parallel her own. There she finds some peace and even makes new friends, including an attractive widower named Robert, whose caring attentions make her feel desired and safe. But as a disturbingly violent crime unfolds in the courtroom, Clarissa realizes that to survive she must expose Rafe herself. Conceiving a plan, she begins collecting the evidence of Rafe’s madness to use against him–a record of terror that will force her to relive every excruciating moment she desperately wants to forget. Proof that will reveal the twisted, macabre fairy tale that Rafe has spun around them . . . with an ending more horrifying than her darkest fears. This debut novel from Claire Kendal was a truly disturbing and chilling read. Rafe Solmes is an obsessive and a master at manipulation. He will not let Clarissa escape from him. She bitterly regrets the one night stand with him and doesn’t ever want him near her again however Rafe has other plans and will stop at nothing to get what he wants. As the harassment and mental torment increases and the level of cruelty ultimately goes to another level, Clarissa has to do all she can to keep safe. She keeps a journal detailing his harassment of her and keeps his gifts and letters hidden away until she considers she has enough evidence to go to the police. This is a first person account of the harassment by Rafe as recorded in her journal interspersed with a third person narrative of Clarissa’s daily activity. This style of writing does take a bit of getting used to, although the font changes to show the difference in narrative. Initially the timeline does skip back and forth but once I got into the story this didn’t bother me at all. Clarissa is called to do jury service and it turns out the trial she is attending is that of a young girl, the victim of a violent abduction. This is not a random act; the young girl does have a history however the ordeal that she faces in court by the men’s barristers chills Clarissa and it seems to her that the girl is the one on trial and not the gang. She sees similarities in the girl’s ordeal to that she is experiencing. The only thing keeping her sane is her growing friendship with Robert, another juror. However Rafe has seen and is not happy that Clarissa is enjoying the company of another man. Having had my own experience of stalking several years ago, although not to this extent, the writing really resonated with me. The sense of fear, the anger and the frustration of having this uninvited and unwanted person in your life was superbly crafted. Each time Clarissa rejected Rafe you could sense his anger and cruelty increase and I was on tenterhooks wondering what his next move would be. Clarissa wasn’t perfect, she had a flawed personality and I disagreed with some her actions but she didn’t deserve the attentions of Rafe, who to me seemed totally unhinged. 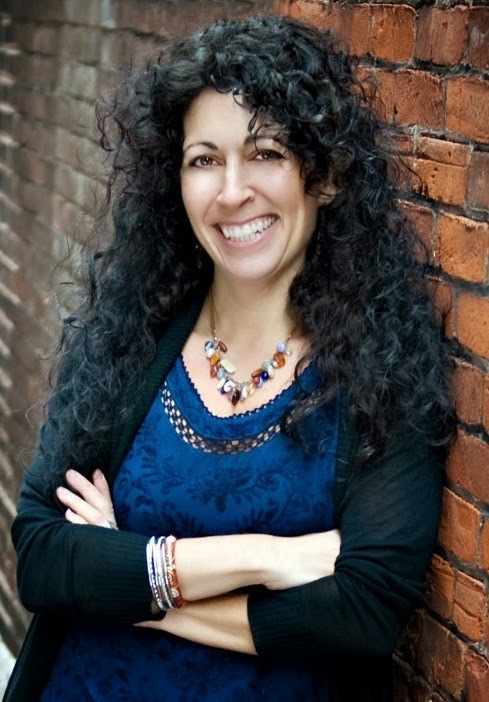 It’s to the author’s credit that she can create characters who really get under your skin. For me, the story did seem to slow down a little in the middle but it soon picked up pace again and led to a conclusion that I certainly wasn’t expecting. One of my favourite genres is the psychological thriller and this one doesn’t disappoint. It’s an excellent debut novel and one that I would recommend to fans of this genre. I received my paperback copy through the Amazon Vine review programme. The story begins in July 1914. Lady Elizabeth Neville-Ashford (Lilly) has led a privileged but stifled life at home. Her parents would not let her have a formal education, instead she was tutored at home, thankfully by someone who would instill in her a sense of her own worth. Lilly had an independent nature but was so unworldly. She was desperate to break free from the strict confines of her aristocratic upbringing and do something worthwhile with her life – she wanted to travel, have a career and choose who she wanted to marry however her parents had other ideas and ‘suitable’ young men were being foisted on her. Lilly’s heart however belonged to another – Robert Fraser, a young doctor and the best friend of her older brother Edward. Unfortunately Robert was not the type of man that her parents had envisaged for her. He was from a poor background in Glasgow and despite his achievements in becoming a respected surgeon, her mother did not consider him good enough and did her best to come between them. 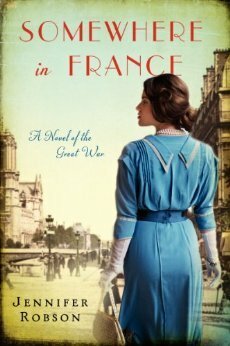 However when circumstances force Lilly to leave home, she sees a way to get to France to be near Robert (currently working at a hospital on the front line) and to do her duty for the war effort; thus she enlists in the WAAC and is trained to be an ambulance driver. The author’s family background and her own seemingly extensive research, made this an enjoyable read and the historical aspect was very well written. The comradeship and the eventual weariness and feeling of hopelessness that came from a war many thought would be over quickly was apparent. Both Lilly and Robert were strong characters although Lilly, as the mainstay of the story, stood out for me. She was determined to make her own life and unusually for someone in her privileged position, she had a very strong sense of justice and fairness, (which she certainly didn’t get from her parents). Her sheltered upbringing had left her totally ignorant about men and it was left to her friends in the WAAC to advise her when it came to conducting her romance with Robert which itself had drama and misunderstandings. Robert was torn when it came to his feelings for Lilly. He had previously encouraged her to have aspirations and a worthwhile career but when he discovered she was working as a driver in such dangerous conditions he was horrified. My only slight disappointment was that despite it being set right at the heart of the battlefields, I did feel a lack of a human connection with regard to the soldiers and their fight for survival and what they went through. We were told how Lilly and her colleagues collected the wounded and dying amidst the shelling and drove them to the clearing hospitals for further treatment and how Robert and his fellow surgeons did their best to help them with limited resources but I had expected something more from a novel ostensibly about the war and that aspect of the story just seemed a bit impersonal and almost incidental. For me, this was more of a love story and whilst it was still very enjoyable was not quite what I was expecting. Having said that, it is a very good debut novel and I’m sure it would be of interest if you enjoy reading historical fiction. My thanks to Helena at Harper Collins 360 for the paperback copy for review. Somewhere in France is Jennifer’s first novel. On the surface Junie Olson’s life looks idyllic, from her handsome husband and beautiful daughter to her successful business, the bakery she always dreamed of opening. But in the past few months her world has slowly unraveled. Her precocious child is withdrawing, showing unexplainable signs of emotional regression, a condition that frays the bonds of Junie’s once impenetrable marriage. When her father dies suddenly of a heart attack, Junie packs up her daughter and goes home to help her mother. Her homecoming stirs up memories of the nightmare she thought she had put behind her, the disappearance of her childhood friend, Ellen. Haunted by recurring memories of what happened on that fateful day, Junie must gather the courage to revisit her past and untangle the secrets surrounding her missing friend, and the trauma that has caused her little girl to climb back into herself. As the pieces come together on the event that shook her small town, and at the risk of losing everyone she loves, Junie will question everything she thought she could rely on and everyone she thought she knew. WHERE PETALS FALL is a gripping and emotional novel with an undercurrent of suspense, featuring a determined mother whose world slowly comes apart around her. Where Petals Fall will appeal to fans of Lisa Scottoline’s Save Me or Jodi Picoult’s Salem Falls, who love an emotional and gripping read. They will root for Junie as they follow her transition into an indomitable heroine who must reconcile what she discovers about her husband and family’s tragic past, and find a way to put the pieces of her family back together and carry on. Junie Olson has a handsome and successful lawyer husband, a lovely 4 year daughter, and has achieved her dream of having a successful bakery business but despite all this, her life is not entirely happy. Their daughter Sarah, has changed from being an outgoing and friendly little girl to being silent and uncommunicative and nobody, not even the professional therapists, can understand why. Her daughter’s regression has created a great divide between Junie and her husband Brian and Junie is unsure what the future holds for them as a family. To add to her worries, a family tragedy drives her back home to her mother where she is confronted with the past memories of her childhood when her best friend Ellen suddenly disappeared without trace. 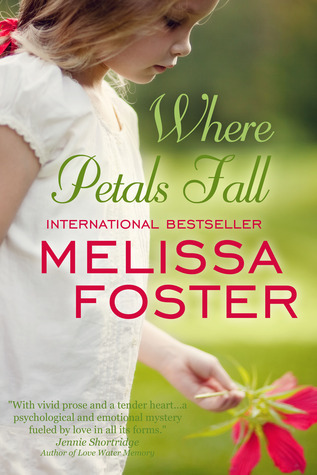 This was the first book by Melissa Foster that I had read. I love stories with an element of suspense and mystery and it was this that drew me to the book and I wasn’t disappointed. 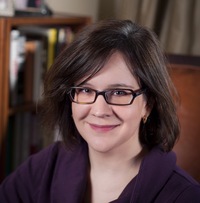 Melissa Foster has cleverly woven the feeling of tension and suspense through the story by use of flashbacks and fragments of memory. The reader is taken through the story with Junie and her quest for the truth, she remembers nothing of the day that Ellen disappeared – however the risk she takes is that knowing the truth may destroy her family completely. All the characters were so well written, Brian, her husband, seemed at times to be cold and uncaring compared to Junie’s softer, caring side. My favourite character however was Junie’s mother, Ruth. She was a strong woman, who despite tragically losing her husband, was someone that Junie could completely rely on for advice and reason. I liked Junie although I have to admit that I did find her frustrating at times. I completely sympathised with her predicament but sometimes her inability to face up to things and her habit of running away in denial made me irritated with her. I would describe this book as a family drama with suspense. 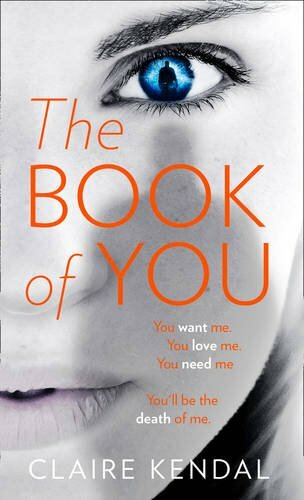 If you like contemporary fiction that has that little something extra then I would recommend that you give this a try. 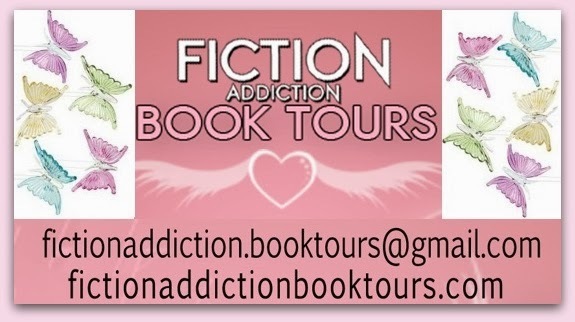 My thanks to the author and Fiction Addiction Book Tours for the digital copy to review. A stylish 1980s Nordic love story – based on true events. When a young Finnish student Kaisa is invited to the British Embassy cocktail party in Helsinki to celebrate a Royal Navy visit to Finland, she’s not looking for romance. After all, her future has been carefully planned: she’s to complete her degree, marry her respectable, well-to-do Finnish fiancé Matti, and live happily ever after. Enter the dashing Peter, a newly qualified naval officer. Like a moth to a flame, Kaisa falls head over heels in love with the handsome Englishman. The young lovers steal passionate kisses in the chilly Esplanade Park and promise to meet again. 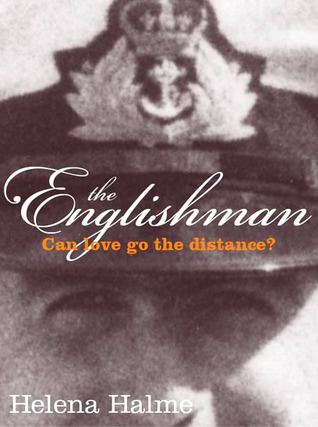 Kaisa and Peter embark on a long-distance relationship, but at the height of the Cold War, while the Englishman chases Russian submarines, Kaisa is stuck in Finland, a country friendly with the Soviet Union. This ‘will they, won’t they?’ – tale of long-distance love is based on true events and attracted thousands of readers when first published as a series of blog posts on Helena’s London Life. Set in the early 1980’s, this is the story, simply told, of a love affair conducted without the advantage of internet, email or mobile phones – all the things that we now take for granted and reminds us of the difficulties of conducting a long distance romance when all you have to rely on are letters and the occasional phone call. Our young heroine, Kaisa, a Finnish student is superbly brought to life with great detail, and the cultural differences between Finland and Britain were interesting to note. I visited Finland during a Baltic cruise a couple of years ago and until then I hadn’t realised how close in proximity the Nordic countries were to Russia. The joy and anguish that Kaisa suffers as she waits for a letter or a phone call from Peter, her Englishman, together with her fears and confusion are vividly portrayed and the tense situation she faces with her fiancé Matti, who doesn’t want to let her go, and that of his overbearing mother are all too believable. We are privy to every detail of Kaisa’s daily life during her love affair with Peter and the problems that her difficult relationship with her father brings. This was a very engaging and charming romantic story and you could well believe that it is based on true events. It felt extremely personal to read – almost as if I were reading Kaisa’s diary. My thanks to the author for the paperback copy to review. Helena Halme grew up in Tampere, central Finland, and moved to the UK at the age of 22 via Stockholm and Helsinki. She spent the first ten years in Britain working as journalist and translator for the BBC. In 2004 Helena took a MA in Creative Writing at Bath Spa University having at last realised that she needs to take writing seriously. Helena has written three full length novels, The Englishman, Coffee and Vodka, and The Red King of Helsinki. Helena lives in North London and can often be seen out and about in town, walking her Border Terrier. I’ve been sent a new copy of this book but I’ve already read and reviewed it so I thought it would be an ideal time to do my first giveaway. Jodi and Todd are at a bad place in their marriage. Much is at stake, including the affluent life they lead in their beautiful waterfront condo in Chicago. He is a committed cheater. She lives and breathes denial. He exists in dual worlds. She likes to settle scores. He decides to play for keeps. She has nothing left to lose. Told in alternating voices, The Silent Wife is about a marriage in the throes of dissolution, a couple headed for catastrophe, concessions that can’t be made, and promises that won’t be kept. 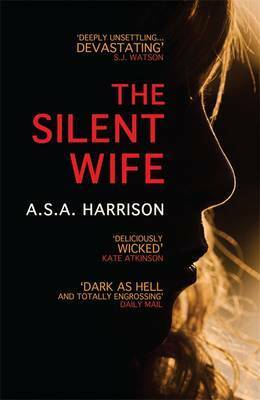 Expertly plotted and reminiscent of Gone Girl and These Things Hidden, The Silent Wife ensnares the reader from page one and does not let go. turmoil and the lengths they will go to in order to protect themselves. Sorry but the book can only be sent to a winner within the UK.